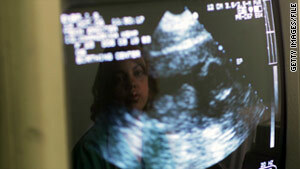 Voters in Mississippi will be given a chance to decide whether life begins at conception. (CNN) -- Voters in Mississippi will be given a chance to decide whether life begins at conception, a controversial abortion-related ballot initiative that the state's highest court has refused to block. The Mississippi Supreme Court late Thursday allowed Measure 26, also known as the Personhood Amendment, to appear on the state ballot November 8. The decision was a rejection of a lawsuit filed by the ACLU and abortion-rights groups. The 7-2 ruling said those groups had not met the legal burden required to restrict the right of citizens to amend the state constitution. "We cannot invade the territory of the legislature or the electorate to review the substantive validity of a proposed initiative, and thereby, we will honor the maxim embodied in the constitutional mandate of separation of powers," said Justice Randy Pierce for the court. He said any challenges to the constitutionality of such statutes can come only after they are enacted or approved by voters. The measure would amend the constitution to extend "personhood" to the unborn, likely rendering abortions illegal in the state if upheld. Anti-abortion forces hope the amendment, if passed, would ultimately be appealed to the U.S. Supreme Court, providing another opportunity for the justices to overturn the landmark Roe v. Wade decision legalizing abortion. "Although our opponents were beaten in this lawsuit, we know that they will not stop in their desperate attempts to deny the obvious truth that life begins at conception and that every life deserves to be protected in the law," said Steve Crampton, general counsel of the conservative legal group Liberty Counsel. "Not only Mississippians, but all Americans, should support this commonsense amendment." A coalition of abortion-rights groups -- including Planned Parenthood Federation of America and the Center for Reproductive Rights -- expressed disappointment in the opinion. "A measure will be on the ballot that will allow the government to dictate what is a private matter that's best decided by a woman, her family and within the context of her faith. Mississippi voters should reject this intrusive and dangerous measure," said Nsombi Lambright, executive director of the American Civil Liberties Union of Mississippi. Mississippi is the only state with a "personhood" initiative on the ballot this year. Similar measures are being planned for next year in Florida, Montana and Ohio, say supporters. Efforts it at least five other states are in the planning stages. The state high court also allowed separate ballot initiatives on eminent domain and voter identification. The property rights initiative would block the state from taking private land and giving it to another person or business. Eminent domain has traditionally been used to acquire a citizen's land for such projects as transportation and infrastructure improvements, but the U.S. Supreme Court has recently given local governments the power to use eminent domain for private economic development. The other measure endorsed by the Mississippi court would require voters to present state-issued identification when they vote. The "personhood" case is Hughes v. Hosemann (2010-1949).